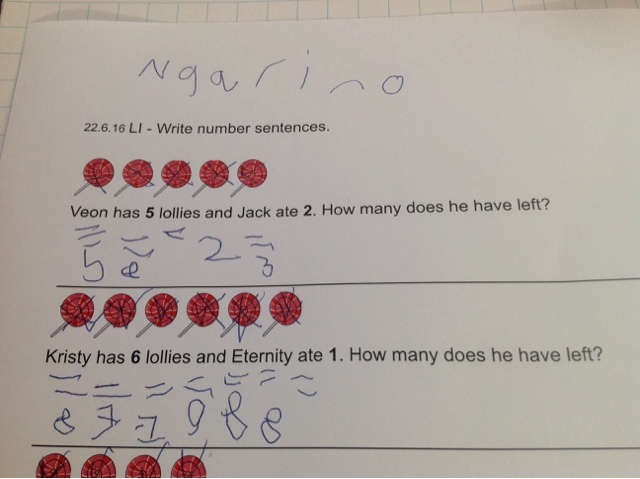 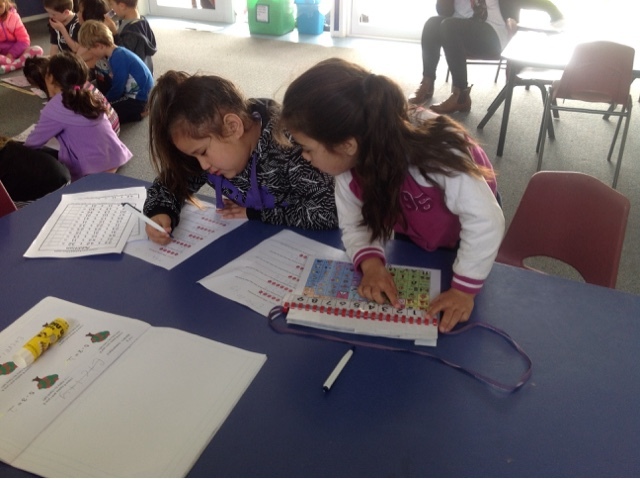 Eternity helps Ngarino with her maths sheet by using the number card on Ngarino's core board. 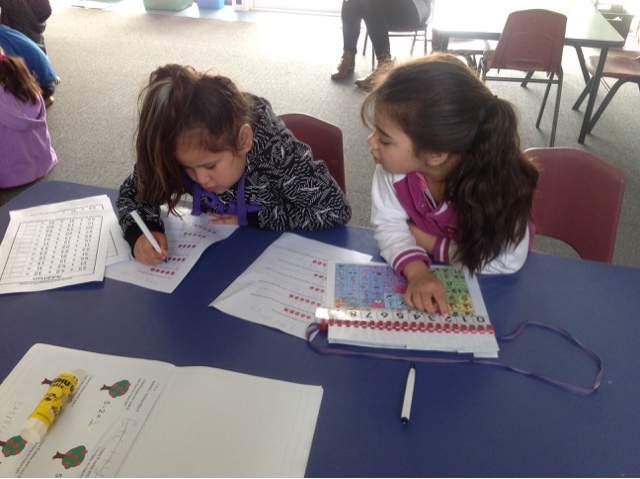 Fantastic communication girls! 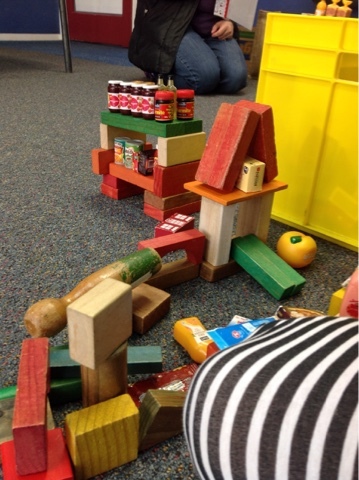 Today for talk to learn we built our own supermarkets. 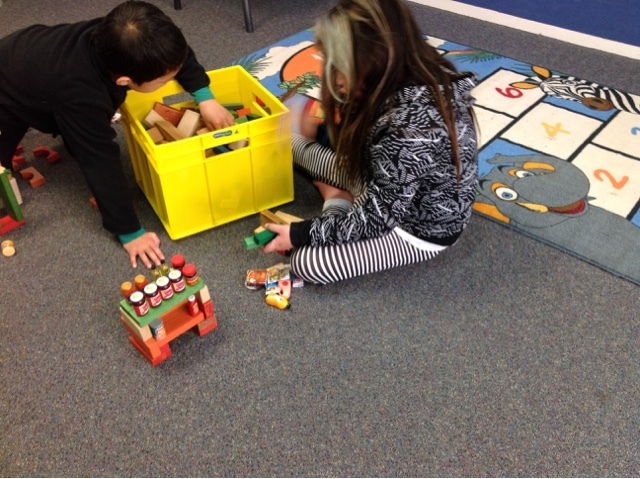 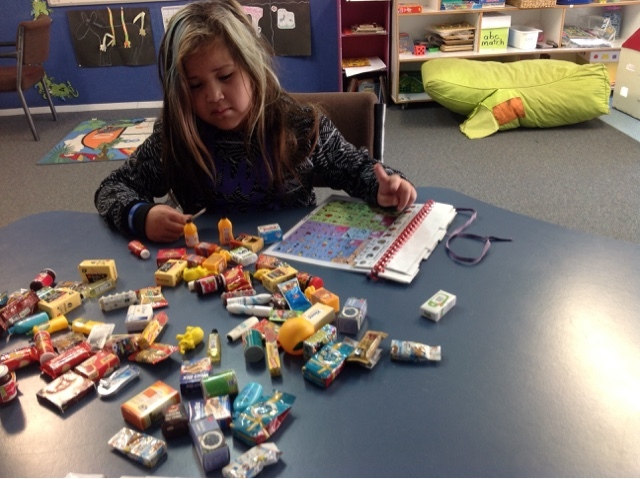 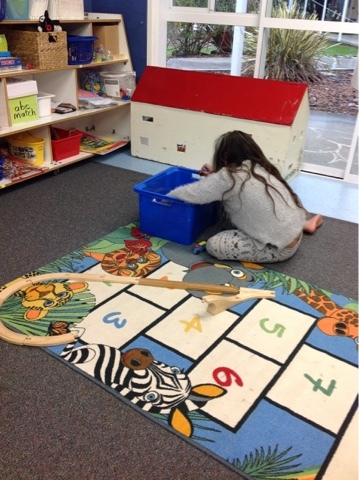 Teziah and Ngarino shared the blocks to build their own shelves and buildings. 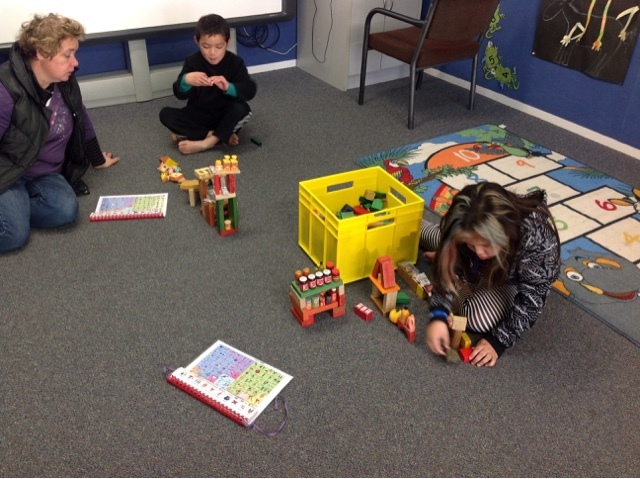 This week at talk to learn we are talking about toys. 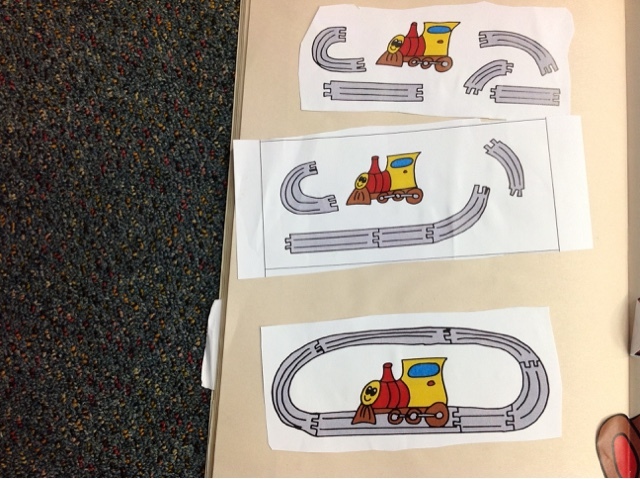 Today we sequenced a train then we made a train track. 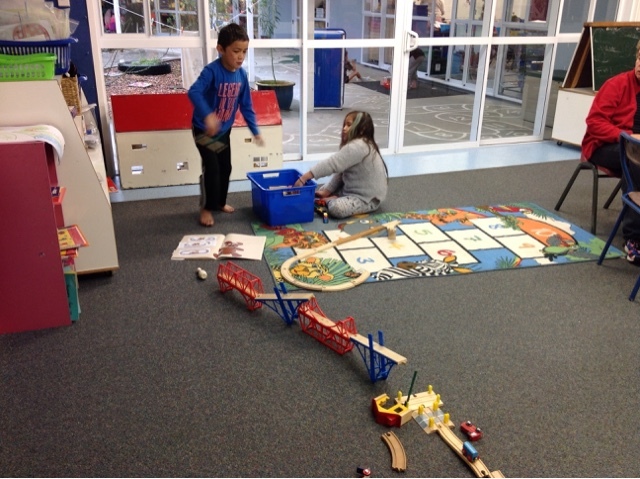 Teziah and I shared the pieces to make our tracks. 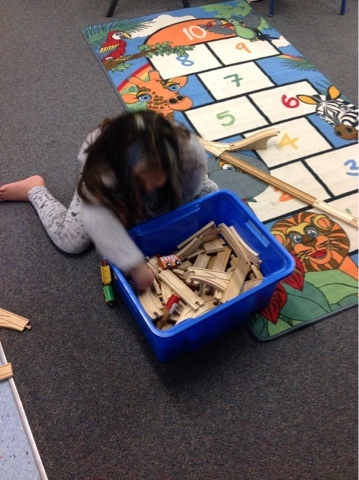 Nice work and lots of fun.